Having covered six cities of the ten planned, Jaguar Land Rover India carries on with its off-road driving experience event, the Above & Beyond tour. 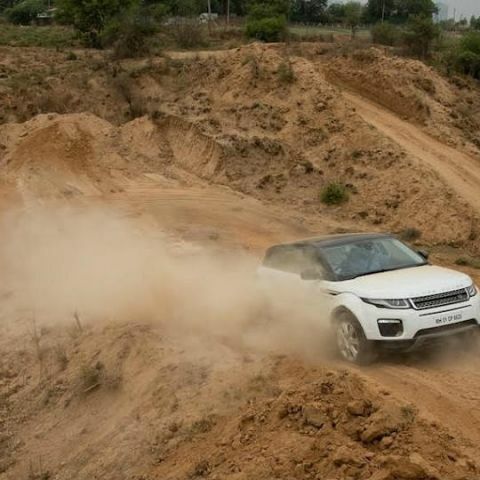 The Above & Beyond tour is a series of off-road driving experience events that demonstrates the capabilities of of Land Rover vehicles, explains Jaguar Land Rover India in a press release. According to the luxury car maker, the tour for 2018–2019 will happen across in cities across India. The tour is done in an effort to make customers understand the depth of Land Rover vehicles’ capabilities in a variety of road conditions. According to Jaguar Land Rover India, the Above & Beyond tour prepares its participants for the challenges posed by naturally set terrains, which include flooded and slushy roads, roads riddled with potholes, etc. The company hopes the experience will be relevant, authentic, and engaging on the whole. “Land Rover SUVs are known for their iconic design and all-terrain capability, built with over 70 years of engineering prowess,” explains Rohit Suri, President and Managing Director of Jaguar Land Rover India Limited (JLRIL). “The Above & Beyond Tour gives us an opportunity to bring this closer to our customers and demonstrate the day-to-day relevance of these iconic SUVs. This is the sixth year of the tour and we still continue to witness tremendous enthusiasm and passion for such a unique drive experience." According to JLRIL’s press release, the Above & Beyond tour has already covered Chandigarh, Noida, Gurugram, Ahmedabad, Indore, and Nagpur in its list of ten Indian cities. The most recent even took place in October in 19 Degree North in Lonavala. Jaguar Land Rover India has apparently chosen the Range Rover Discovery Sport for its Above & Beyond tour, an SUV whose price starts from Rs 44.68 lakhs in India.